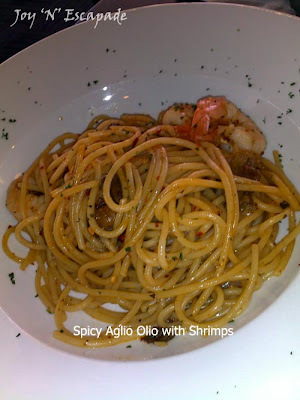 Here's the first review of my dining experience at Kitchen Creatures, Centrepoint, Bandar Utama. or call them at 03-7729 8039. Love its food 'commandments' - no frills dining. Spicy Aglio Olio with Bacon is priced at RM13 at the moment. Spicy Aglio Olio with Shrimps is priced at RM13 at the moment. Chicken Alfredo (Carbonara) is priced at RM12 at the moment. 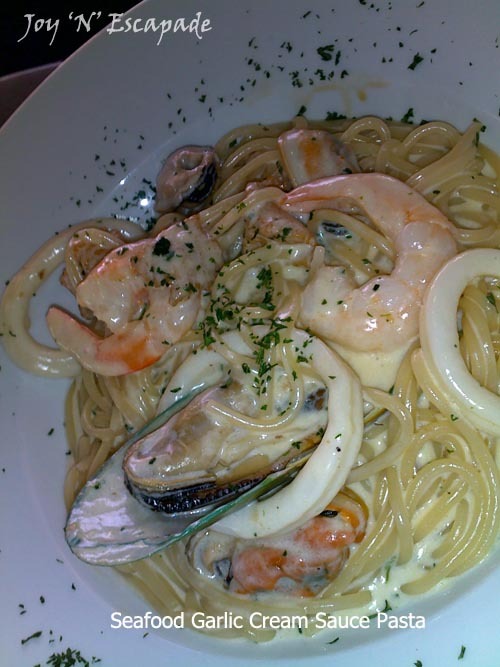 Seafood Garlic Cream Sauce Pasta is priced at RM15 at the moment. 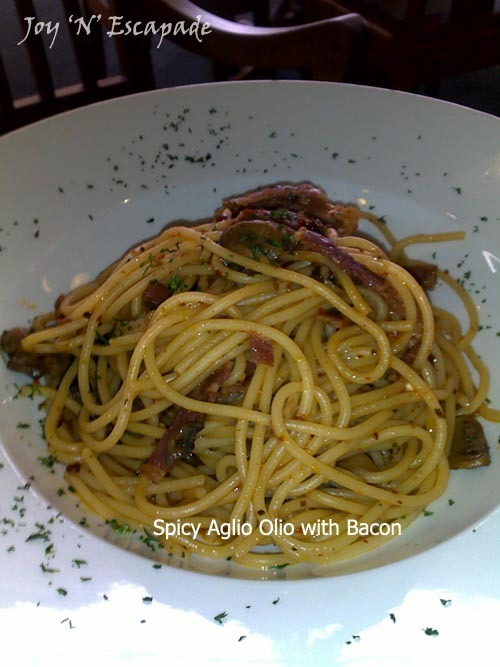 Note: Don't compare their serving portions with places like Italiannies and Chili's. 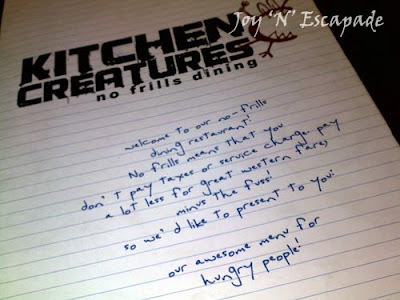 At Kitchen Creatures, you'll be satisfied with what you pay for what you eat. This is an interesting beverage named Limey George - Ribena mixed with Sprite and a slice of lemon. 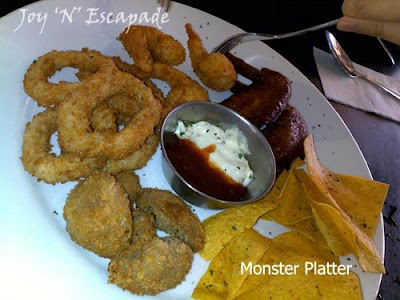 Monster Platter is priced at RM15 at the moment. 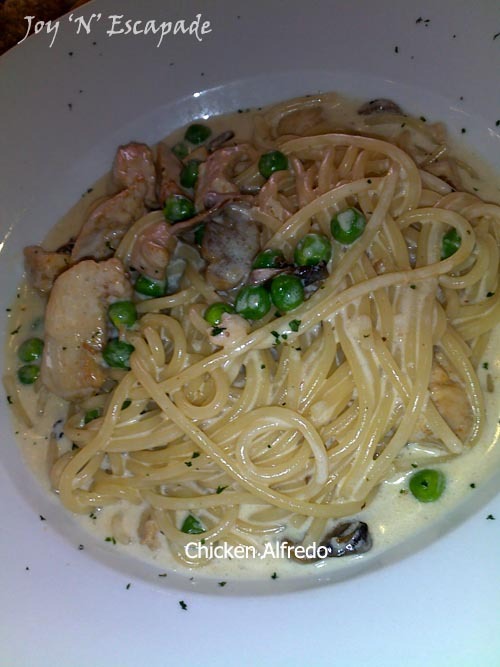 Yum yum... Prices are quite reasonable for the pastas. 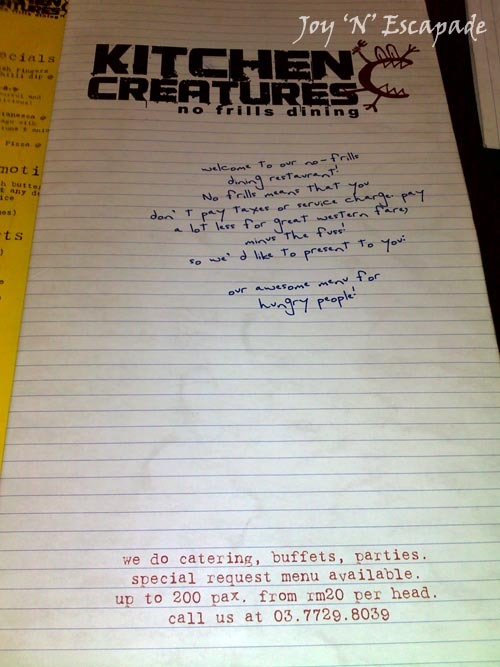 I was interested in trying out their steaks & such. 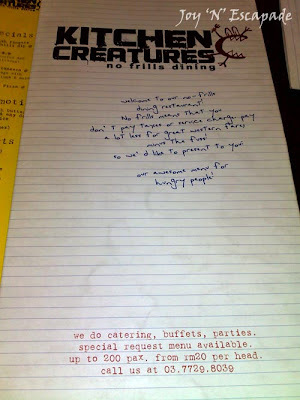 kitchen creatures has a very weird and lousy policy. THEY DON'T SERVE WARM WATER! 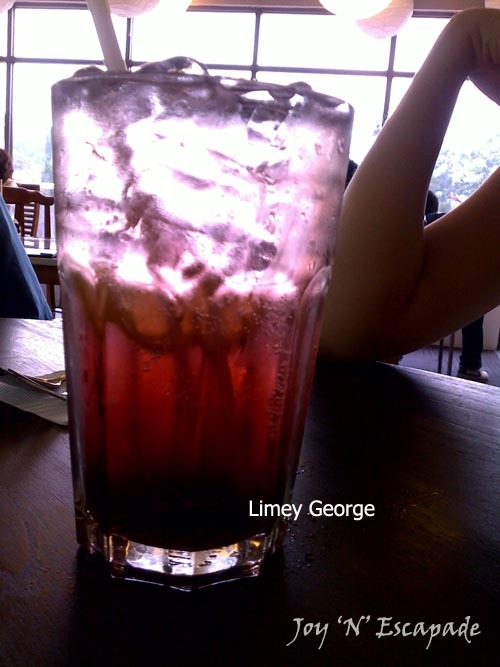 "a glass of warm water pls.". "Sorry it's our company policy not to serve warm water. you can have the normal mineral water.". "No i just want some warm water to soothe my throat.". "cannot. we do not serve warm water. it's the company policy.". 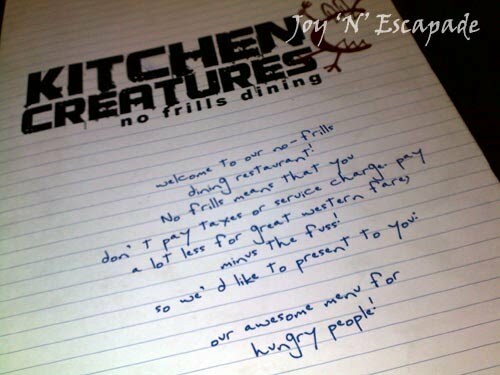 I knew that Kitchen Creatures does not serve warm or iced water but bottled water for RM2.50/bottle. I'm not quite sure why they choose this as their policy.